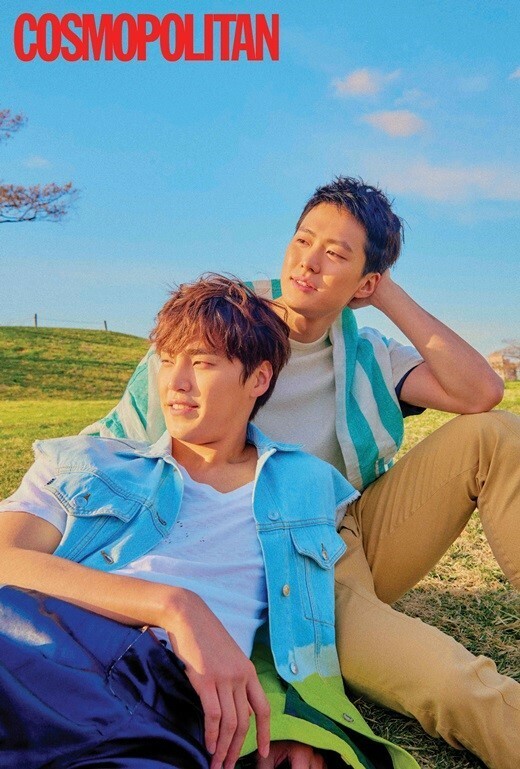 Fellow 5urprise members/actors Gong Myung and Lee Tae Hwan posed together for a bromantic 'Cosmopolitan' outdoor pictorial! During their interview, the two actors opened up about their acting careers so far. Lee Tae Hwan coined his role model as Cha Seung Won, and said, "I also debuted as a model when I was 16 years old so we have similarities, but Cha Seung Won sunbaenim's acting spectrum is very broad, from dramas, to movies, to plays. His characters are also colorful, from romantic to thrilling, to comedic... everything. I think he's really cool in those aspects." Gong Myung chatted about his emotional side, admitting that he sheds tears often when watching movies or listening to music. "I often fall very deeply in my thoughts, or when I watch movies, I bawl in places where other people don't normally cry. Recently, I cried like a baby watching 'Along With the Gods'. I like to go to the movie theater alone, so I went and ate popcorn alone going at first, 'They used the CG like that,' but later on I cried so uncontrollably to the point of embarrassment." 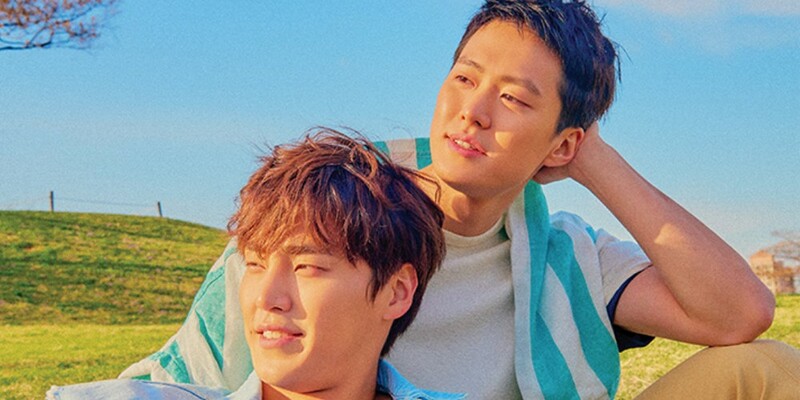 When asked about their dating styles, Gong Myung simply answered that he's very straightforward and bold, while Lee Tae Hwan said the opposite, claiming himself to be a careful and generous type. You can check out their full interview with 'Cosmopolitan' here.